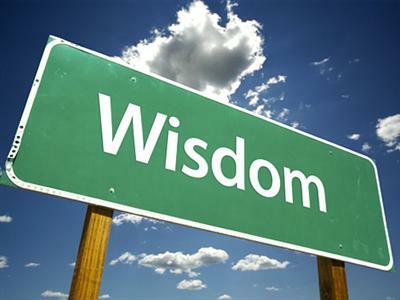 Be very careful, then, how you live—not as unwise but as wise. My friend Roselma died this year at age 90. I believe God gave her a long life because she was such a blessing to many people. Roselma and I became friends years ago when we were both business education teachers at the same high school. She was old enough to be my mother but acted as though she was my age or younger. I immediately began to see that this lady had qualities I wanted to possess, especially her ability to live her faith in God. My mother died at an early age, so Roselma became my adopted mother and an adopted grandmother to our daughters. Even though she had a large family, she always remembered the special occasions in our family. Roselma’s face glowed with the joy of the Lord. She was an encourager. Roselma never complained, even when she had to spend her last several years in a nursing home. She had a wonderful attitude and was always positive. As our friendship grew, I began to see how Roselma could be the special person that she was. God had first place in her life. She was committed to daily Bible study and prayer. Roselma was committed to her family, her church, and her friends. I never heard her say an unkind remark to anyone or about anyone. I want to be more like Roselma. I want to have a positive attitude, be more compassionate, be more patient, and always be uplifting to others. Most of all, I want to be a great representative of Jesus Christ just as Roselma was. She studied the Word, she claimed the Word, she lived the Word, and she shared the Word. Are there things in your life that you need to change so that you can experience the hope, joy, and patience that my friend had? It all begins by staying in communion with God through prayer and His Word.